Joey Johnson, a Kennedy-Lugar Youth Exchange and Study Abroad Program participant is the U.S. Department of State's March 2019 American Abroad Student of the Month. From North Carolina, Joey is currently studying in Sofia, Bulgaria. From the moment Joey arrived on program, he has made every effort to engage with the host culture and to learn Bulgarian. In addition to excelling in his weekly language classes, Joey practices speaking as much as possible with his host mother. On a recent excursion by train, he managed to hold a three-hour conversation with an elderly couple entirely in Bulgarian. 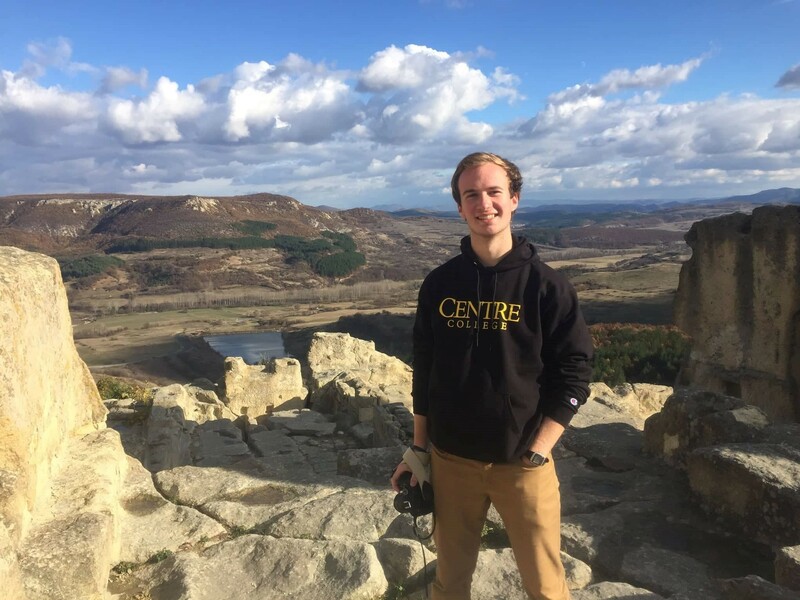 Joey is particularly passionate about Bulgarian history and has learned as much as possible while in Sofia, helped by his host mom who is a high school history teacher. She had Joey visit her school, where he gave a presentation on American history to her students. Joey volunteers at the Balkan Heritage Project, an organization that seeks to protect and promote the cultural heritage of Southeast Europe. He has been volunteering to edit their website, making it more accessible to Americans and native English speakers. In addition to his Bulgarian history work, Joey volunteers with the Refugee Project in Sofia. Each week he teaches English classes for adults as well as math and science classes for children. Joey has embraced Bulgarian culture and built deep relationships with his host family and friends from school. Through his multiple volunteer activities, he has done almost 55 hours of community service in just five months.